Join us for a DJ party on the harbour every Thursday night from 9:30pm – 12:00am. Enjoy dancing and drink specials from our fully licensed onboard bars and much more! Grab your friends and prepare for a night like no other with the best dance music spun by DJ Mutts. This cruise begins boarding fifteen minutes prior to departure. Our party cruises all have licensed security on board for your safety. Once the ID and bag checks are completed by security, our Deckhands will go over the safety rules for the cruise as we set off into the harbour! Our vessel has two bars on board for your convenience with the main bar being in the enclosed lower level, and the second being stationed on the open sided upper level. While DJ Mutts gets the music going to get the dance floor full, you can sit down and relax, enjoy the fantastic views of the city at night, or join in on the fun on the dance floor yourself. Conditions can vary depending on the night, but it is a good idea to consider footwear options that could cause balance issues (stilettos/high heels can be problematic on a boat). 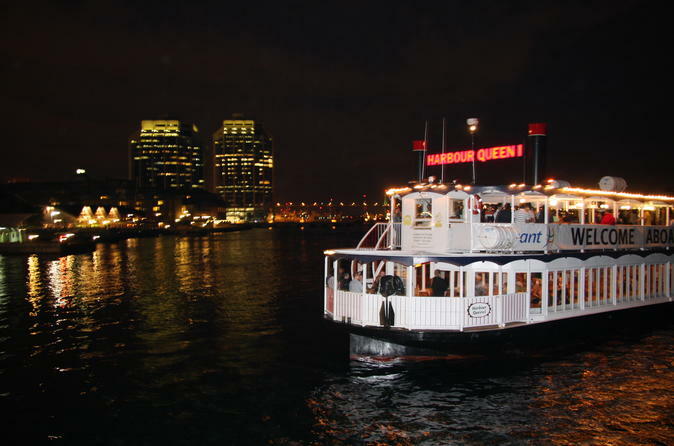 If you are looking for a night out in Halifax, our party boat is a fantastic option during the warm summer months. You can sit in a bar anywhere at any time, but a night out on a floating nightclub is a unique and memorable experience.